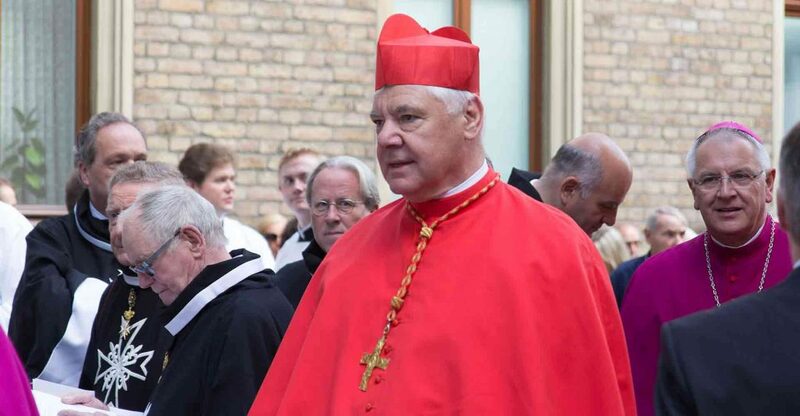 Cardinal Müller has issued a “Manifesto of Faith” as a corrective against doctrinal confusion, moral relativism, indifference toward Jesus Christ and the Church he founded, and dissent from the Church’s perennial teaching on faith and morals. Many of the Catholic and Christian faithful have felt as if everything is unraveling as the Church they know and love is bleeding out from the wounds of blatant, systematic attacks from within—many of which have recently originated from clergy at the highest levels. Consequently, faithful Catholics have respectfully urged their bishops to step forward and combat what has become an accelerating climate of confusion and doctrinal fragmentation within the Church. Sadly, few bishops have done so. I often share with parishioners and others that one of the most serious issues we face today as Catholics is a lack of catechesis on the belief and teaching of the Church. The majority of the faithful are woefully under-catechized on even foundational elements of the divine faith. Often, it seems, the clergy carry a large part of the blame for this tragic situation that places souls at risk. 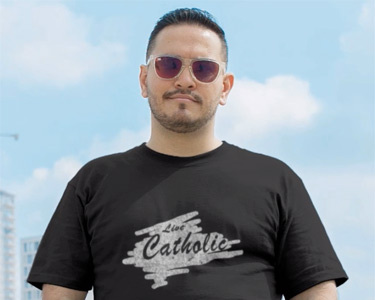 Years of abstract “God is love and mercy” and entertaining “feel good” homilies devoid of the basics of catechesis, doctrinal education and conscience formation have left even those faithful who regularly attend mass in a desert of ignorance. This situation is exacerbated by post-modern relativism and secularized attitudes that manifest as widespread, general indifference toward heavenly things and becoming more faith literate. However, if homilies continue to take a “doctrine-free” approach, the faithful soon lose their theological and moral sense of direction and easily adopt false cultural and societal ideologies. Moral fragmentation occurs and loss of faith is the result. People are soon led through ignorance to embrace such dangerous errors as Holy Communion for Catholics who have divorced and attempted to contract a new union or even non-Catholic Protestants, a failure to ensure one is in a state of grace prior to receiving Eucharist, approval of homosexual “marriage” and widespread cohabitation, the use and promotion of contraceptives and other forms of artificial birth control, neglect of the sacrament of Penance, indifference toward the irreformable and infallible moral teaching of the Church, etc. Recently, the situation has taken a turn for the worse. In combination with a lack of catechesis, we are now facing a moral crisis of doctrinal confusion, misinformation, and conflicting statements about the belief of the Church transmitted by high-ranking clergy. Consequently, bishops are at odds with bishops; priests have been pressured into silence or moved from their parishes because of their unwanted orthodox views; some deacons remain silent on the issues of the day due to fear of possible backlash; and widespread dissent and controversy among the laity. The more I think and pray about this situation, the more I come to recognize its diabolical nature and the way it is rooted in the aspirations of Satan, the Father of Lies, whose primary desire is to destroy the Church and the sheepfold within her gates. The Devil despises the Catholic Church because it is Christ’s true Church, divinely founded upon St. Peter, the First Bishop of Rome (see Mt 16:17-19). Thankfully, Cardinal Müller is one of a handful of bishops who has spoken out in reaffirming the constant and irreformable teaching of the Church. Answering the call of Jesus Christ, who is himself “the way and the truth and the life” (Jn 14:6), Cardinal Müller issued his “Manifesto of Faith,” released on February 8th in order to promote clarity, orthodoxy and healing. The “Manifesto” references heavily the Catechism of the Catholic Church, which Pope St. John Paul II promoted as a normative teaching document for all the faithful. The Catechism is simply indispensable for learning the faith. It’s packed with references to scripture, the saints, Church Fathers, and Church councils. It’s beautifully organized and written. It should be found well-used—notes, highlights and torn pages included—in every Catholic home. Additionally, paragraphs one and two of the “Manifesto” echo certain elements of the CDF declaration Dominus Iesus, “On The Unicity and Salvific Universality of Jesus Christ and The Church,” written under the direction of Joseph Cardinal Ratzinger and ratified and confirmed by Pope John Paul II on 16 June 2000. Among other things, the Declaration presents Catholic doctrine on the “unicity and salvific universality of the mystery of Jesus Christ and the Church” (3), and the Church’s missionary proclamation that is “endangered today by relativistic theories which seek to justify religious pluralism” (4). The “Manifesto” is re-published below in English. Translations in other languages can be found online. It’s my prayerful hope that every Catholic reads it carefully with an open heart to the light of God who is Truth itself. Photo Credit: Elke Wetzig [CC BY-SA 4.0 (https://creativecommons.org/licenses/by-sa/4.0)], from Wikimedia Commons.